Myanmar links South and Southeast Asia and lies on maritime shipping routes from the Indian and Pacific Oceans. A key pillar of its national development agenda is establishing an efficient and integrated transport system to become Asia's newest maritime hub. Recent political and economic reforms have already had significant impact on national trade flows. According to the Central Statistical Organization, the annual value of total trade (exports and imports) during 2004-2010 remained below US$5 billion. In 2014-2015, this figure increased to US$29 billion. Of this trade, more than 85% is maritime-based. The security of the sea lines of communication (SLOCs) in regional waters would therefore appear to be a national priority. 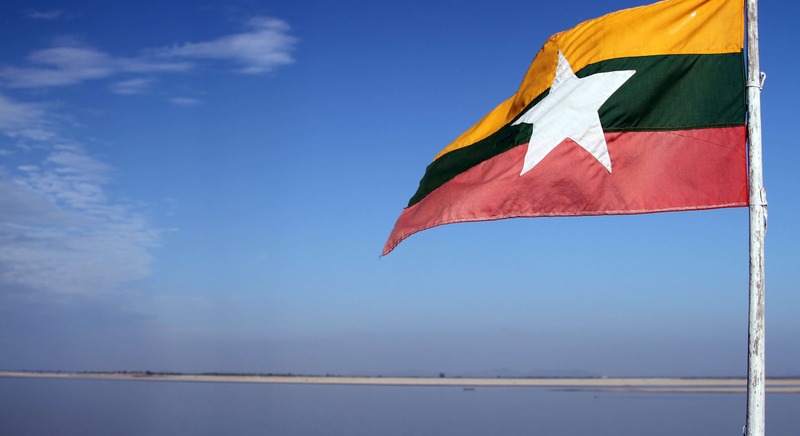 However, while the security of SLOCs remains vital to Myanmar's economic outlook, it is unlikely to feature highly on the national security agenda until the internal situation stabilises. Armed ethnic groups have long posed serious security challenges in a number of Myanmar's states, and instability in Rakhine State could derail the Tatmadaw's ongoing peace process with these groups. For the time being, therefore, Myanmar is likely to leave much of the task of providing security in regional waters to its larger, more willing and more capable neighbour, India. Since 2008, Myanmar has steadily modernised its navy through a mix of domestic manufacturing and acquisition. The former includes development of frigates, corvettes, and missile craft in domestic shipyards with foreign assistance, especially from China. Discussions on possible submarine acquisitions have also been intermittently reported. The Navy aims to become a blue-water navy in response to regional naval modernisation (especially in Bangladesh and Thailand), and to protect its long coastline and extensive exclusive economic zone from both state-based and non-traditional threats. Traditional security concerns (ie. the defence of sovereignty and territorial integrity from external powers) have driven Myanmar's naval modernisation ambitions since the turn of the century. Such insecurities peaked in 2008 following a clash with the Bangladesh Navy over disputed maritime borders in the Bay of Bengal. While the amicable resolution of this dispute through arbitration by the International Tribunal for the Law of the Sea has made Myanmar's anxieties less acute, this category of threats continues to dominate Myanmar's strategic calculus on the seas. In fact, there have numerous land border clashes between Myanmar and Bangladesh subsequent to the maritime border dispute resolution. Such skirmishes have triggered a gradual build-up of land forces along the boundary and involved limited forms of bilateral naval posturing. While Myanmar's naval capabilities remain roughly even with Bangladesh, the latter's submarine acquisitions from China in late 2016 has added vigour to Myanmar's naval modernisation efforts. However, it is important to understand that given the overarching national security focus is insular, naval modernisation takes a back seat to the demands of the army. Ongoing domestic instability has exacerbated two key non-traditional maritime security issues for Myanmar, the first being maritime asylum seekers. The events unfolding in Rakhine and the mass exodus of asylum seekers via land and sea is foremost a humanitarian issue, but with serious security implications as well. Asylum seekers from Bangladesh and Myanmar who sailed via the Bay of Bengal for refuge in Southeast Asian countries and were stranded in the Andaman Sea first grabbed international headlines in May and June 2015. Late last month at least 46 were killed when a vessel en route to Bangladesh capsized. Myanmar's second non-traditional maritime security priority is arms smuggling. Myanmar and regional states are well aware of the nexus between vulnerable asylum seekers at sea and the trafficking of humans, arms and drugs. Arms smuggling is a serious problem for Myanmar, as the border area between Bangladesh and Myanmar is a sanctuary for arms smugglers, mainly due to the its extensive coastline and weak maritime surveillance capabilities. Smugglers ship various types of small arms from Thailand and other Southeast Asian states and transit through these waters to sell them to insurgents in India, Bangladesh, and Myanmar. The ongoing Rakhine crisis has provided an opening for Islamist terror groups to rally support for their cause. Against a backdrop of a fast-growing ISIS presence in South and Southeast Asia, arms trafficking has become a greater threat to Myanmar's national security. Myanmar's maritime-security outreach has been mostly at the bilateral level, although it does participate in multilateral maritime security initiatives within ASEAN such as BIMSTEC, IONS and the MILAN naval exercises. This outreach was initially met with enthusiasm by regional and extra-regional powers, who see enormous economic and strategic significance in a 'normalised' Myanmar, given the growing geoeconomic importance of the Indo-Pacific and the rise of China. For Myanmar, this engagement is more reflective of a desire to be recognised as a constructive player in regional security rather than a conscious policy of securing regional waters and associated SLOCs. India, which has a long maritime boundary with Myanmar, is among its major maritime security partners. The Bay of Bengal is a key geostrategic area, especially in response to China's increasing inroads, and this is reflected in India's recent 'Act East' policy. Among India's topmost security concerns is Pakistani intelligence agencies recruiting fighters from the persecuted Rohingya population in Myanmar and Bangladeshi refugee camps and attacking Indian targets. India's attitude has been to engage Myanmar during the Rohingya crisis – in September 2017, Prime Minister Modi made his first bilateral visit to Myanmar, where 11 agreements were signed, including on maritime security cooperation. China too has high stakes in Myanmar's strategic location, having invested significantly in Myanmar's maritime infrastructure development. In May, it was reported that China's CITIC Group proposed taking a stake worth up to 85% in the US$7.3 billion deep sea port in Kyaukpyu, in Rakhine state. In September, Foreign Minister Wang Yi emphasised China's support for Myanmar's efforts to protect its national security. Given Myanmar's strategic importance to these two rising Asian powers, it is expected that they will continue to engage Myanmar in the maritime security realm, regardless of the Rohingya crisis. This is likely to provide Myanmar a degree of immunity against international backlash on the Rohingya issue, as well as ensure its continued inclusion in the slate of regional maritime security exercises. Internal instability could yet damage Myanmar's maritime security prospects with key ASEAN partners. An Informal ASEAN Foreign Ministers Meeting (IAMM) was held in September, but no concrete action plan was set with regard to the ongoing situation or potential asylum-seeker influx. While ASEAN is coming under fire for its inaction on the Rohingya crisis, it is unlikely this will damage Myanmar's participation in regional maritime security exercises. In August, for instance, Myanmar participated for the first time in the Southeast Asia Cooperation and Training (Seacat) exercises co-hosted by Singapore and the US. However, with ASEAN being criticised openly on its non-interventionist stance by some of its Muslim members (notably Malaysia), it seems likely that Myanmar's maritime-security relations with certain ASEAN states will be damaged. The ongoing crisis has perhaps impacted prospects for maritime security cooperation with key Western states the most. The UK has suspended its fledgling officer training program, and the US too dropped plans to expand training for Myanmar's military in areas like maritime security and combating human trafficking. For decision-makers in Myanmar, the perceived danger of international pressure over the Rohingya crisis leading to a seaborne military invasion by foreign powers (especially certain Western states) is very real. Similar deep-seated worries over external aggression were all too evident following Cyclone Nargis, when the French government threatened to push for a UN Resolution and intervene militarily on humanitarian grounds following Yangon inhibiting the delivery of external aid to affected communities. All these concerns are likely to factor into Myanmar's maritime strategic planning.